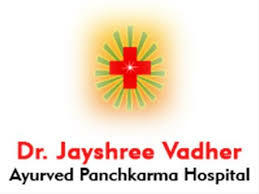 Dr. Jayshree Vadher is a well Renowned and Leading Ayurveda in Bhilad, Valsad. She holds a Bachelor’s Degree(BAMS) and degreee of PGDVES. Currently She practices in Vedant Ayurved Panchkarma Clinic in Paldi and Vedant Ayurved Panchkarma Clinic in Isanpur, Ahmedabad. She also practices in Vedant Ayurved Panchkarma Clinic in Isanpur, Ahmedabad. Currently She practices in Vedant Ayurved Panchkarma Clinic in Paldi, Ahmedabad.